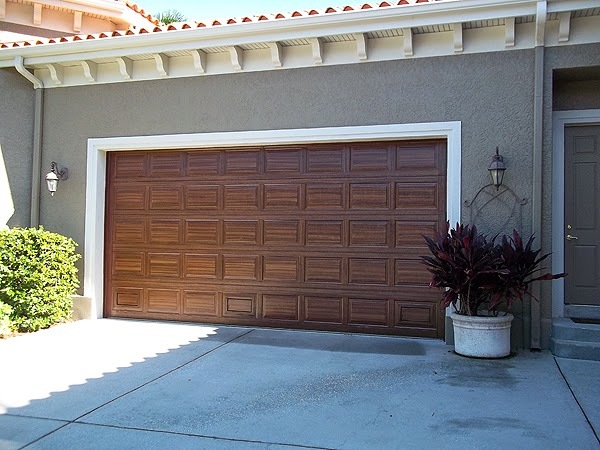 I got the large two car garage door painted to look like wood and sealed the paint job with Masterclear Supreme, a 100% UV acrylic clear coat. 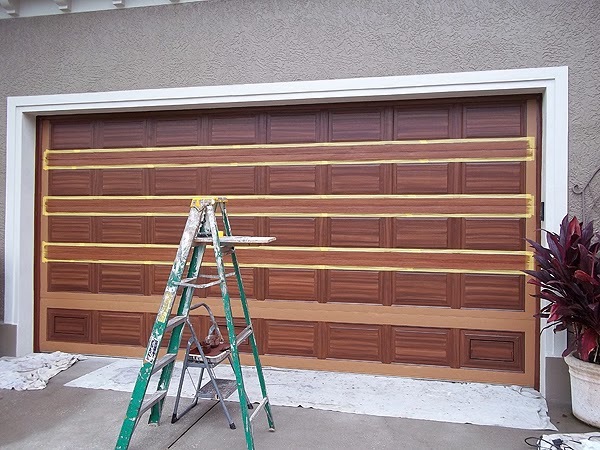 After painting the wood grain on all the panels and the space between the panels I then tape off and paint a horizontal grain pattern in the space between the rows of panels. 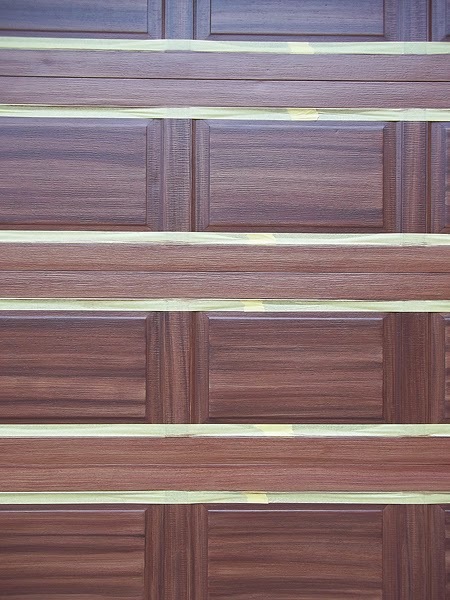 In the first photo you can see how I have the top horizontal grain painted in with the first coat of the wood grain color. After that dries I apply the second wood grain color. Then I open the garage door high enough to get to the bottom spaces. I do that so I don't have to bend down or get down on my hands and knees to paint that area. This next photo is a good close up view of the process. 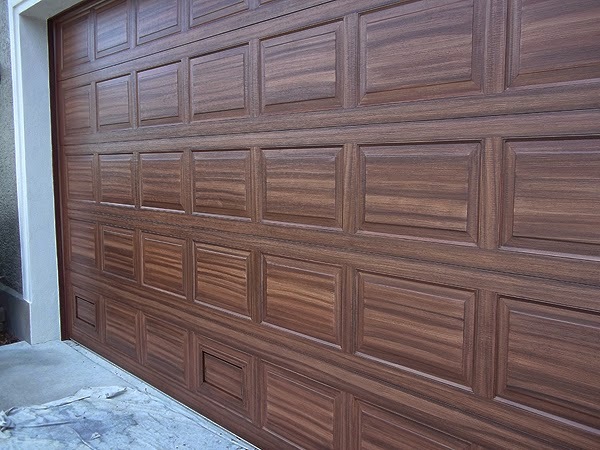 The next four photos show the completed garage door painted to look like wood. 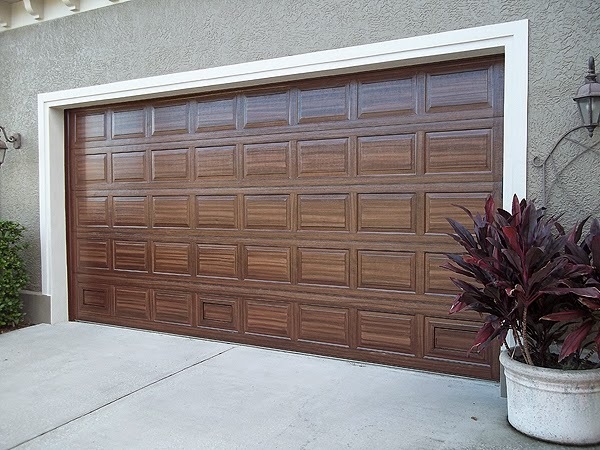 Funny story is a friend of the homeowner came by last night after I got done and was telling the home owner how much he liked the new wood garage doors and was wondering how heavy they were and all. 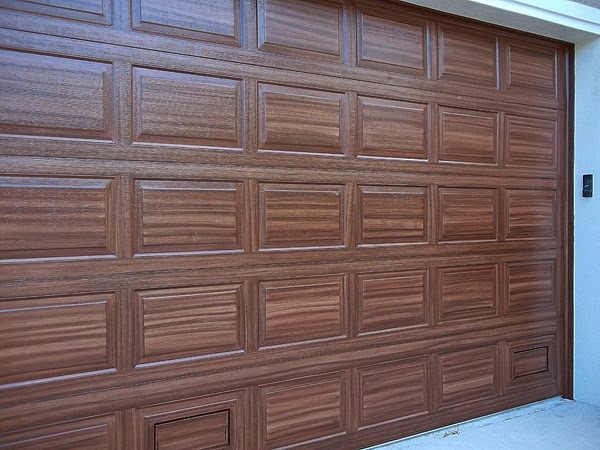 So the homeowner tells him it's the same doors just painted to look like wood and the friend wouldn't believe him until he rapped his knuckles on the door.